You’re about to learn about the most awesome money-saving secret on the internet. 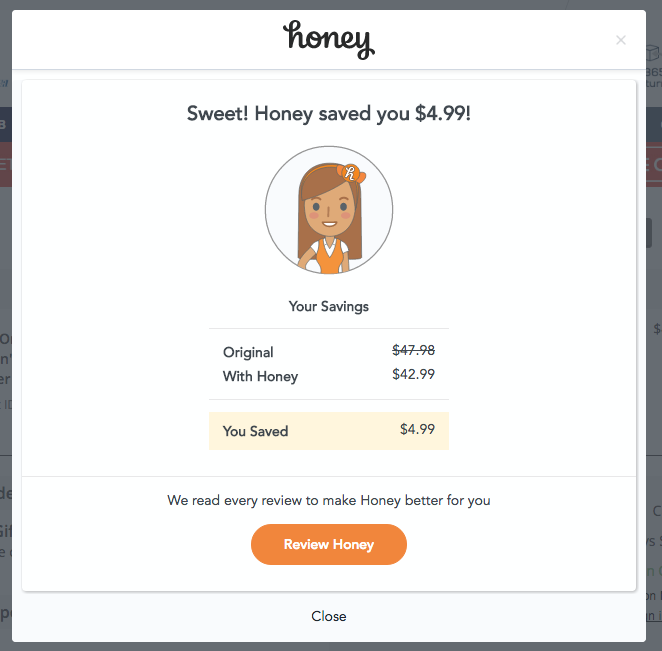 Honey finds and applies every available coupon code for you at checkout, so you don’t have to search for a coupon ever again. I have NOT been contacted by Honey to promote this. This is honestly so good and so easy that I just had to share it. Have you ever been ready to purchase a product online and then you thought, “hey I should Google for a coupon code first” and then you find some sites with various discount codes listed and you try copying and pasting them one by one until you find one that works. Stop it, just stop that now! You don’t need to do that any longer, because somebody was smart enough to create a Chrome extension that DOES IT FOR YOU AUTOMATICALLY so that you get the best possible deal every time you shop online! Already convinced? 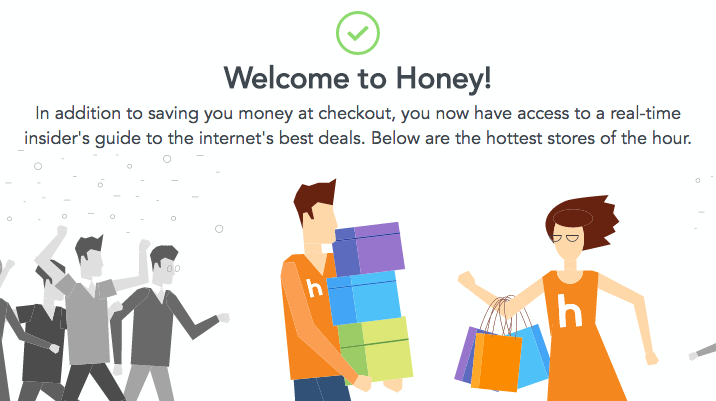 Ok, then click here to join Honey now and start saving! I’m going to walk you through an example of how you can save money with Honey with only 2 minutes of work. Yes, seriously! 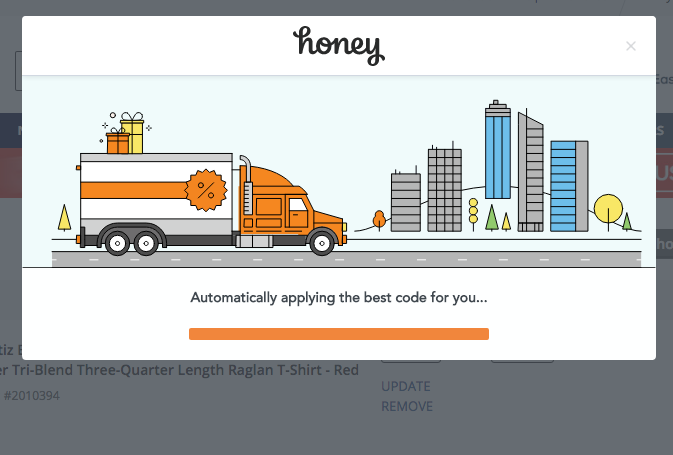 Step 1: Click here to download the Honey Chrome extension to your browser. Step 2: Shop online. 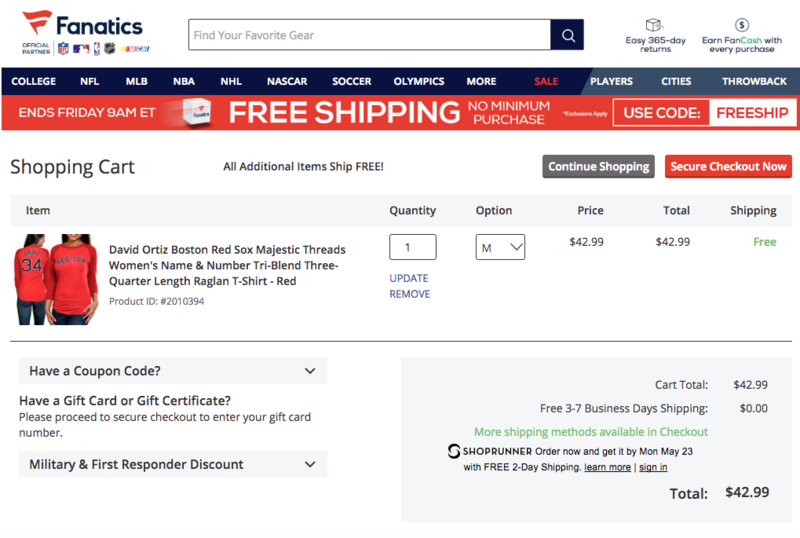 It’s baseball season so let’s shop for a Boston Red Sox T-shirt at Fanatics.com. Here are some of their top sellers. Step 3: Add your desired product to your cart and proceed to the checkout screen like so. Step 4: If you have Honey installed, it will automatically pop up somewhere on the screen like this. Step 5: Click the orange button to Try Codes! Then Honey will do the work for you, as seen here. Step 6: Place your order knowing you just saved money with only a few clicks! Step 7: BONUS TIME!!!! I used Honey to save money on buying domains through GoDaddy. Shortly after I received an email from Honey saying I had earned Honey Gold. Uh, what now? 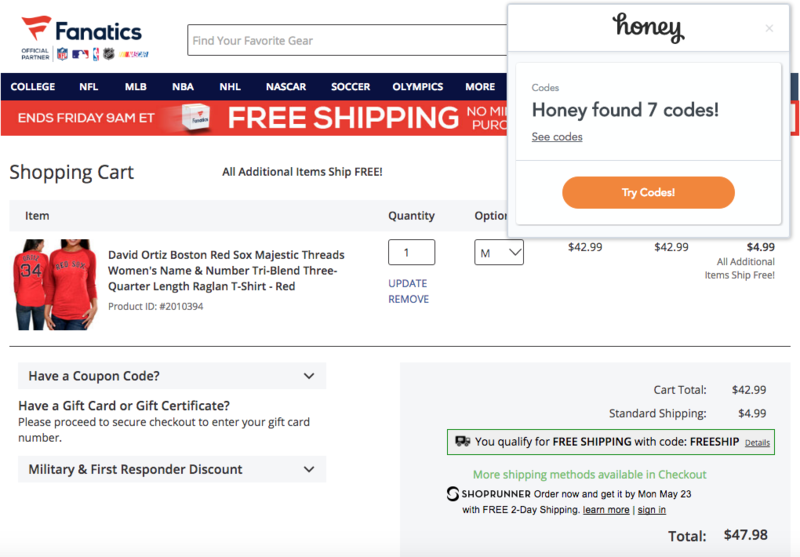 It turns out that not only can you save money on online purchases, but you are also rewarded with “HoneyGold” every time you use Honey on a purchase. 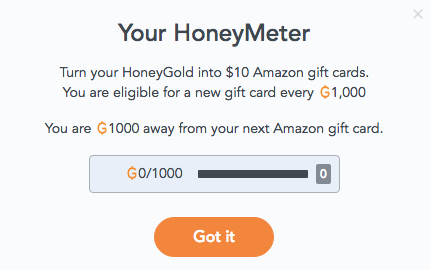 Once you hit 1,000 HoneyGold you earn a $10 gift card to Amazon. 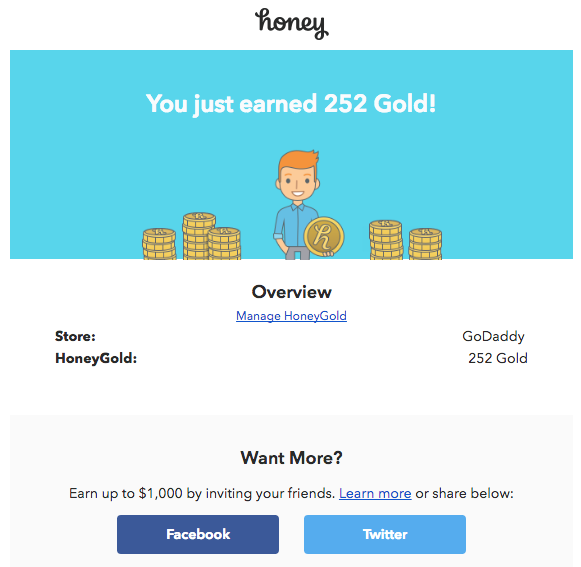 With only 2 purchases at GoDaddy, I’m soon to have over 500 HoneyGold and half way to getting my $10 Amazon gift card. So, in summary…. download a chrome extension and then every time you shop online it will apply the best possible coupon code AND give you points towards a free Amazon gift card. I honestly can not understand why anybody would NOT sign up immediately. It’s just so easy to save money with Honey. Click here to get Honey NOW!